Isaac Clemmons used to spend his Friday nights watching Quitman football games from the bleachers. Now, the senior spends his Fridays putting on a helmet and reeling in touchdowns for the Bulldogs. From the stands to the field, Clemmons impressed. He reeled in 32 receptions for 552 yards and seven touchdowns in just seven games, earning all-conference honors as a junior. Though he hasn’t played long, Clemmons says he’s already made memories that will last a lifetime. Clemmons was selected to this year’s 501 Football Team — 28 players representing all 11 counties of the 501. The team, sponsored by Conway Ortho and Sports Medicine Center, Conway Regional Health System and First Security Bank, boasts the best the 501 has to offer both on and off the field. The senior receiver was nominated by his head coach, D.J. Marrs. In his second season with the team, Clemmons and the undefeated Bulldogs (5-0, 2-0 Class 5-2A) are off to a blazing start, averaging 36 points per game through the first half of the season. 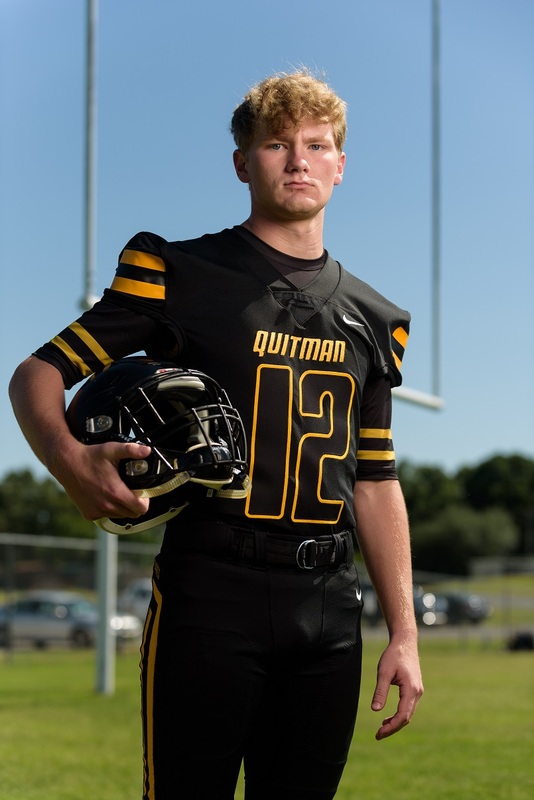 This week, Quitman looks for its best start since 2016 with a key conference showdown at Magnet Cove. As one of nine seniors on the team, Clemmons makes up for his lack of experience by leading with his voice. Off the field, when he’s not playing basketball and baseball for the Bulldogs or playing French Horn for Quitman’s marching band, Clemmons is giving back through the classroom. Quitman plays at Magnet Cove at 7 p.m. Friday.